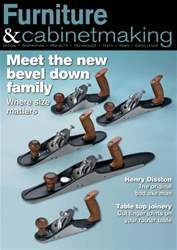 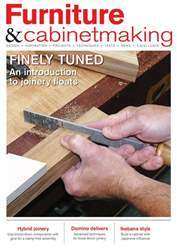 In issue 224 of Furniture & Cabinetmaking we have lots for you to enjoy. 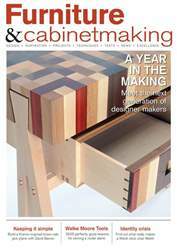 In our ‘Projects & Techniques’ section, Stephen Hogbin shows us how to made the Ker Chair; Marco Terenzi explains his technique for producing perfect joints at 1/4 scale; Lonnie Bird explains how to design and carve embellishments for furniture; Derek Jones talks finger jointing and Charles Mak reveals six helpful tricks for traditional woodworkers. 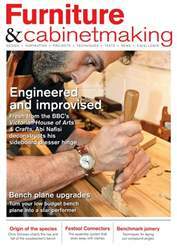 In ‘Design & Inspiration’ we have the first of our new ‘Our Correspondent’ series, which sees Kieran Binnie discussing hand tool heritage; Warwickshire College get three firsts this summer as they join up with New English Workshop to host a unique teaching experience; Mark Harrell looks at the life and achievements of Henry Disston; F&C go behind the scenes as Lee Valley prepare to launch their most audacious project yet; Amber Baileu reports from New Designers 2014; Paul Mayon talks to Canadian hand tool woodworker Tom Fidgen and we look at some late 19th-century French side cabinets in Under the Hammer. 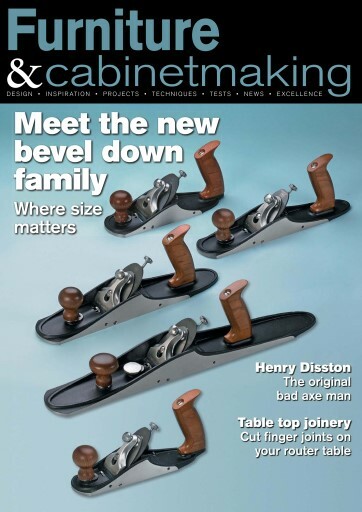 All this and more in issue 224 of F&C.